Long layers on top with a tapered back that features a Sheer Indulgence lace front and monofilament top. Vibralite Synthetic Hair Fiber – Specifically formulated to simulate the natural look and feel of protein rich hair. 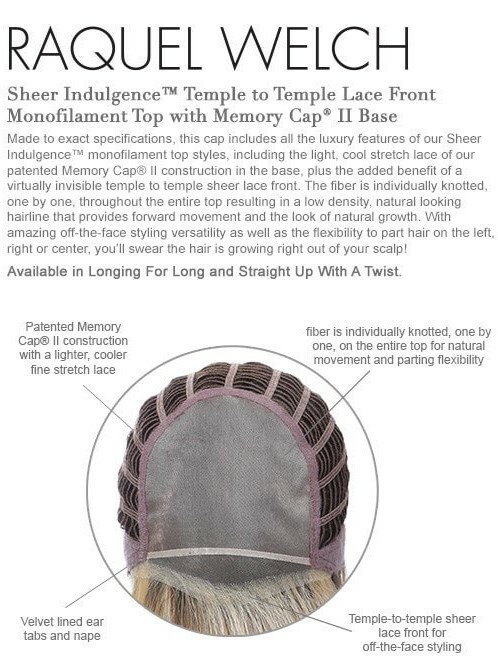 Memory Cap II – A memory cap that actually memorizes the shape of your head to give you the ultimate in light comfort and fit. Raquel Welch is wearing R9F26.